Home remedies offer inexpensive, natural cure with simple, natural ingredients for common ailments without any adverse effects. It is readily available and harmless in comparison to other forms of medicines. Home remedies have been used since ages for treating common ailments. Given below are 10 Indian Home Remedies for various common ailments and health problems. Prepare a mixture of 2 tbsp of water, 1/2 tbsp of Honey, 1/4 tbsp of apple cider vinegar and a pinch of Ginger powder. Consume the mixture once a day. Honey and ginger have antioxidant and antimicrobial properties which help to curb cold and cough. Combine 1/4 cup of warm milk with a teaspoon of powdered turmeric. Drink it at night before going to bed. Turmeric has antiseptic and antibacterial properties, and hence it relieves cold and cough. Add 6-8 Basil leaves and ¼ tsp of Ginger powder to a glass of water. Boil it and steep for 5 minutes. Sip Basil-Ginger tea to relieve cough and cold. Basil leaves are the best home remedy to treat fever. Take 10-15 Basil leaves and boil them in 2 glasses of water for 10 minutes. Consume the decoction once a day to relieve fever. Soak 15-20 Raisins in ½ cup of water for 6-8 hrs and crush them. Strain the mixture and add ½ tsp of lemon juice. Consume it twice in a day. Boil a cup of water. Add 1 tsp of Turmeric powder, a pinch of Ginger powder, ½ tsp of Black Pepper powder and 5 Basil leaves. Consume the mixture three times in a day to curb the fever. Citrus fruits contain a high amount of antioxidants and Vitamin C. Hence; such fruits readily controls hair fall. Apply Lemon Juice in your hair and leave it for 10 minutes. Rinse the hair with mild shampoo. Aloe Vera curbs hair growth and brings strength and shine to the hair. Apply Aloe gel or oil from roots to tips. Rinse it off with water after 15 minutes. Fenugreek powder is an excellent source protein which promotes hair growth. Grind Fenugreek seeds and mix it with coconut oil. Apply the paste on your hair and leave it for half an hour. Rinse it with mild a shampoo. Lemon has a cleansing property, and hence it helps in detoxification of the body. Add a 1/8th tsp of black salt and ½ tbsp of Lemon juice in a glass of warm water. Drink it on an empty stomach to curb constipation. At night, consume ½ tsp of Castor oil on an empty stomach. Castor oil has an excellent laxative property as it stimulates intestine. Caffeine present in Coffee is a natural stimulant. Consume 2 cups of Coffee to relieve constipation. Cumin is an excellent home remedy to curb digestive ailments such as indigestion, nausea, diarrhea, and flatulence. Mix 1 teaspoon of roasted cumin seed powder in a cup of warm water and consume it. Fennel seeds quickly relieve indigestion. Put ½ tsp powder of roasted Fennel seed in a glass of hot water. Drink it thrice a day. Alternatively, you can steep 1-2 tsp of Fennel seeds in a cup of boiled water to prepare Fennel tea. Ginger stimulates digestive juices and improves digestion. Take 1 tsp of Ginger juice, ½ tsp of Lemon juice, and 1/8th tsp of Black salt. Mix the ingredients and consume it with a glass of lukewarm water. Add 2-3 Garlic cloves in 2-3 tbsp of Coconut or Sesame oil. Boil it till the Garlic turns golden brown. Massage the affected area with the oil. Heat and ice are the most common home remedies to relieve pain. Apply an ice pack to bring down the swelling, pain or inflammation. Once the pain and inflammation subside, heat may reduce the stiffness. Prepare a paste of Asafoetida and water. Apply a thick layer of paste on the affected area. Rinse it with warm water after 12 hours. Apply a mixture of lemon juice and glycerine on pimples and acne. Rinse it with lukewarm water after 15 to 20 minutes. Mix 1 tbsp of honey and 2 pinches of Cinnamon powder. Apply the same on the pimples and let it stay overnight. Next morning rinse it off with lukewarm water. Apply the pulp of ripe Tomato or Cucumber and rinse it off after an hour. It is an ideal home remedy to curb pimples. Apple cider vinegar is an ideal home remedy to deal with gastric problems. Dilute apple cider vinegar in a glass of water and consume it to treat gastric problems. Buttermilk is extremely nutritious. Add 1/8th tsp of roasted cumin powder and 1/8th tsp of black salt to a glass of buttermilk. Drink it after having a meal to curb gastric troubles. Take an equal amount of Fennel seeds, Cardamom seeds, and Mint leaves. Boil the ingredients in 2 cups of water and make a concoction. Drink it to curb gastric problem. Crush a piece of Ginger and add it in the water. Boil it for 3 to 5 minutes. 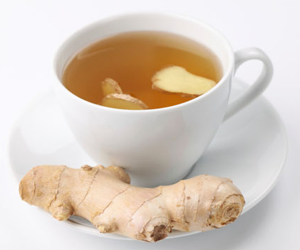 Drink Ginger tea to sooth sore throat. Gargle with a mixture of 1 cup of warm water, 1 tsp of salt, and a pinch of Turmeric powder. It is a beneficial home remedy for relieving a sore throat. Prepare a decoction of Indian spices by grinding a tsp each of fennel seeds, black pepper corn, cumin seeds, coriander seeds, and dry ginger. Simmer the mixture in 2 cups of boiling water for about 5 to 10 minutes. Strain and drink the warm solution. Drink a cup of warm water containing 1 tbsp each of honey and lemon juice. Milk buffers acid and provides relief from acid reflux caused due to stomach acid. 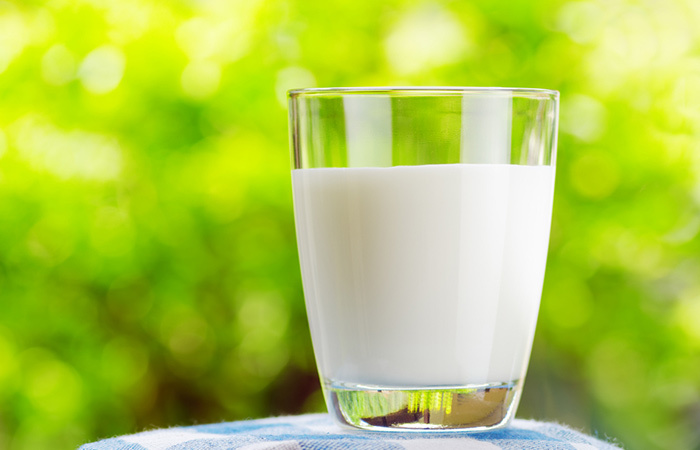 Drink a glass full of fat-free milk or almond milk or Soy milk to get rid of the acidity. Potatoes are alkaline and hence help to reduce the acid levels in the stomach. Eating boiled Potatoes helps to curb the acidity. Bananas are natural antacid. Eat a banana after every meal. It contains potassium which reduces the stomach acid and improves digestion. Next articleHow Many Calories Are There in a Sabudana Vada & Does It Have Any Health Benefits?